Preheat oven to 325. Melt butter in oven-safe bowl or cup, about 10 minutes. Meanwhile, beat egg whites with an electric mixer with salt until frothy. Gradually add sugar and beat vigorously until the mixture is thickened and stiff peaks form. Add cinnamon and beat until fully blended. Fold in almonds. Pour in butter and stir. Gently pour mixture onto foil-lined cookie sheet and spread the mixture over a single layer of nuts. Bake for 10 minutes, stir, and return to oven for another 10 minutes. Repeat 4-5 times, for a total cooking time of 40-50 minutes, or until mixture has glazed onto almonds and almonds are crisp. Mixture will froth and foam during the early stages of baking, but will bake onto the nuts towards the end of the baking time. Mix well. Form into balls (about one tablespoon each). Flatten with fork twice to make a crisscross pattern. Bake on an ungreased cookie sheet for 10 – 12 minutes. Let cool completely before moving. From Florida Crystals recipe book. In a large bowl, whisk cake mix, egg beaters, baking soda, and water until smooth. Evenly distribute among baking cups. Bake until a toothpick comes out clean (between 23-25 minutes). Let cool completely. In a small bowl, thoroughly mix Cool Whip with peanut butter. In another small bowl, whisk the chocolate syrup and frosting together until smooth. Spread cupcakes with peanut butter mixture and then drizzle with chocolate mixture. Top with pretzel pieces. From Hungry Girl to the Max! cookbook. 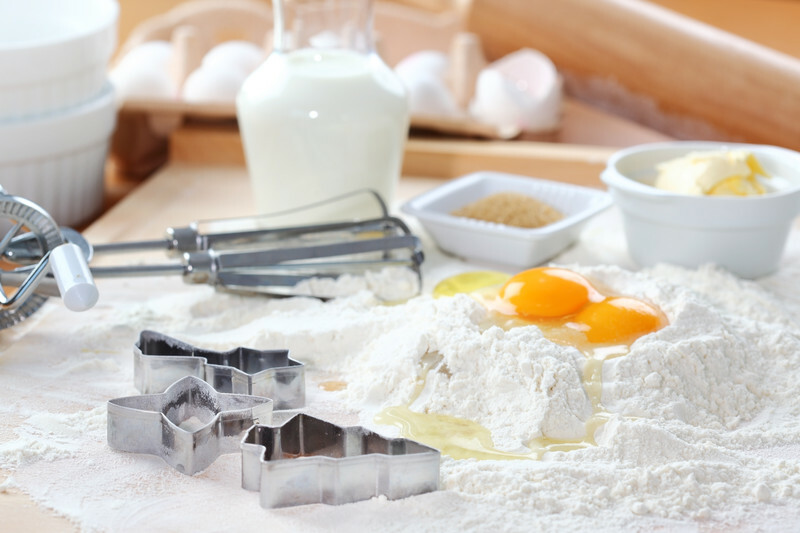 Combine first three ingredients with flour in a large bowl. Mix well by hand until all pieces of cheese disappear and mixture is a yellow dough. Cover and let sit for 15 minutes at room temperature. Pinch off small pieces of dough and flatten in palm of hand. Roll olive into dough making a ball. Place on ungreased cookie sheet and chill for ten minutes. In a large bowl, combine zucchini, egg and butter. Stir in bread crumbs, onion and seasoning. Mix well. Shape mixture into patties. Dredge in flour. In a medium skillet, heat oil over medium high heat until hot. Fry patties until golden brown on both sides. And there you have it! Five new appetizers and desserts that are sure to knock the socks off all of your guests. Get ready to pat yourself on the back and accept the accolades! You deserve them!